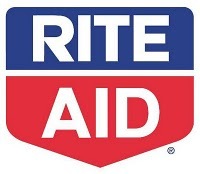 Rite Aid this week has a lot of good deals. If you have a $5/$20 from AdPerks (located Rite Aid’s website) or a $5/$25 from Redplum.com then this is a pretty good week to get some free or almost free items. The Redplum.com coupon doesn’t print for me. Don’t forget the Zyrtec deal I mentioned before is still available. Buy 4 Ziploc Sliders $1.99 each. Currently Olay is offering a rebate for FREE Quench. Combine this with the $5/$20 coupon and some of the other deals this week. I ran in Rite Aid this morning. I didn’t have the Quench coupon from 3/7/10 PG with me which would have helped! The price of the normal size Quench is $7.49 at my store and I could have gotten the smaller cream version for $5.99 but wasn’t sure about the rebate qualifications. Must remember to check next time. I’ve never done an Olay rebate before. Cost $.34 after $.44 stamp for Rebate! My mind was racing since I had to get to the office and since everything worked out I didn’t ask the cashier for an extra receipt. Has anyone done that before at Rite Aid? I wish I could submit for the Ziploc deal too. That would be an additional $5.00. Oh well!